The Istobal Soft Touch brings, to you, the leading edge technology into automated car washing. 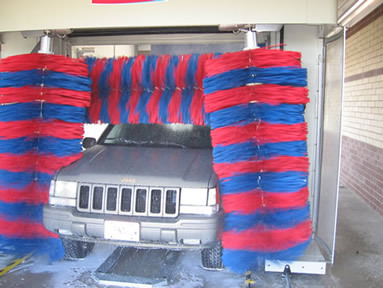 It uses a three brush, soft and safe, foam material, with high pressure water, that gives your vehicle the best in automated washing. 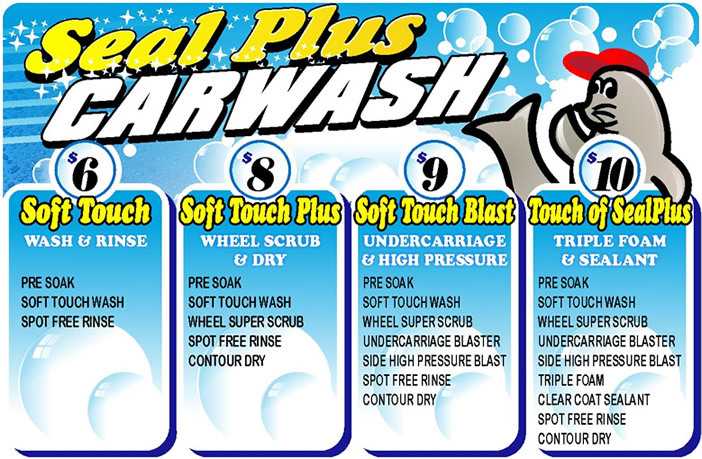 Customers can choose from one of four desirable wash packages. The first one is the basic, but through, Soft Touch wash and rinse. In the second package, the Soft Touch Plus adds the wheel scrub and dries your vehicle. You can blast the dirt away with the Soft Touch Blast package, in the third wash package, and still receive the wheel scrub and dry. The undercarriage blaster will clean your vehicle’s chassis, while the side high pressure blast will help remove the stubborn dirt. You get a Touch of Seal Plus with the forth and best wash package. You receive all that has been discussed and add the triple foam cleaner. The Carlite foam material not only washes your vehicle, in this package, but also polishes it with a clear coat sealant to help brighten and protect your vehicle’s finish. 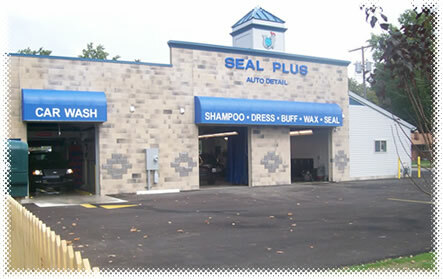 To give your vehicle the full Seal Plus experience, check into our detailing packages. It is wise to detail your vehicle, once to twice a year to protect the invested value you have in your vehicle. 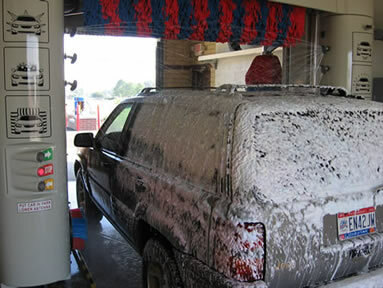 Then continue to use the car wash for your weekly maintenance needs.